The global oilfield services market is expected to be worth more than USD $139.1 billion by 2025. Since 2012, the volatility within the oilfield services industry has led to extreme changes in the industry’s year-on-year revenue growth. With the prices of crude oil and natural gas plummeting between 2014-2016, the need for industry services was greatly reduced. 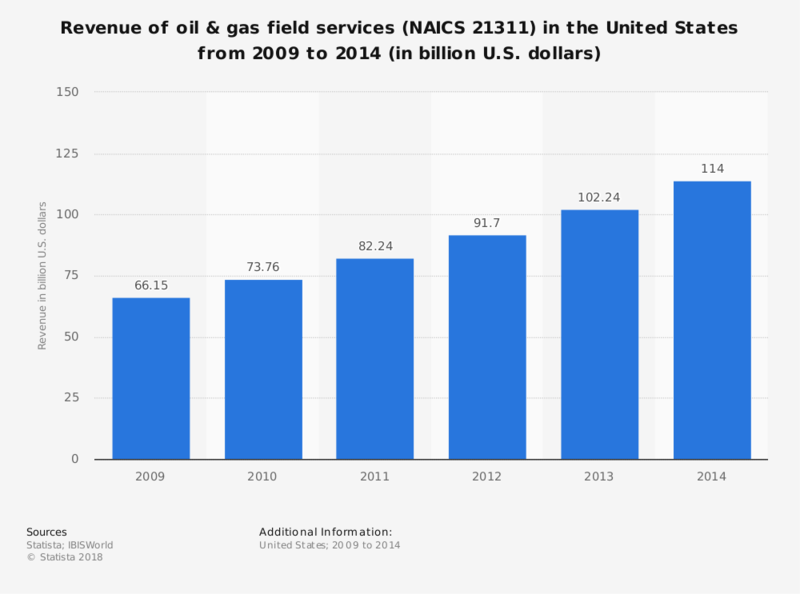 When oil and natural gas prices rise, then the oilfield industry services industry sees rapid revenue growth. If the oil and natural gas prices fall, then the industry sees a rapid decline for their services. Even with expected pricing gains in the crude oil and natural gas sectors, ongoing volatility is forecast to continue through at least 2023, if not until 2028. Because of this trend, the overall oilfield services industry is expected to average losses of 4.2% per year over this period. Some years may see revenue gains, especially if there are unexpected rises in pricing structures, but the overall forecast still looks rather bleak. Over the same time period, GDP in the United States is expected to rise by 2.2%. Although there is a strong push in many markets to have renewable sources for energy, these services still require crude oil and natural gas products to be manufactured. That means the production needs, well maintenance, and drilling supports will continue. In 2019 and beyond, per-barrel pricing for oil is forecast to be around $52. At that rate, the oilfield services industry should see stable revenues, though changes by OPEC or another war in the Middle East could create unpredictable pricing within the sector. Although more than 200 companies have gone out of business between 2016-2018 in this industry in the U.S. market, cost reductions within the service sector will help to contribute to a better upstream experience for the industry long-term.